Grand opening of the bank, grand in more than one way..... Besides being impressive the opening of Capital Local Area Bank’s branch at Amritsar presented a rare feast for eyes with Akali and Congress stalwarts being jointly present on the occasion. Raising above the party lines the leaders of both the parties not just exchanged formal courtesies but shared the table for a joint cup of tea. Healthy omen indeed for a State which has witnessed heated arguments, hot words, allegations and counter allegations being exchanged between the ruling alliance and the opposition! Bikram Singh Majithia, Revenue Minister Punjab not just showed magnanimity of heart by conceding to the request of Samara family but also took media and those present on the occasion by a complete surprise by reaching exactly on dot to inaugurate the venture of a former Congress Minister lest the latter may feel purposely being kept waiting. Talking to media, Mr. Majithia said that he has a deep regard for Mr. Amarjit Singh Samra and appreciated that by dint of hard work his family’s initiative into private Banking has been successful. He informed that the said bank after successful running in urban areas has now started rendering services in rural areas as well with a turnover of more than Rs.1800 crore. 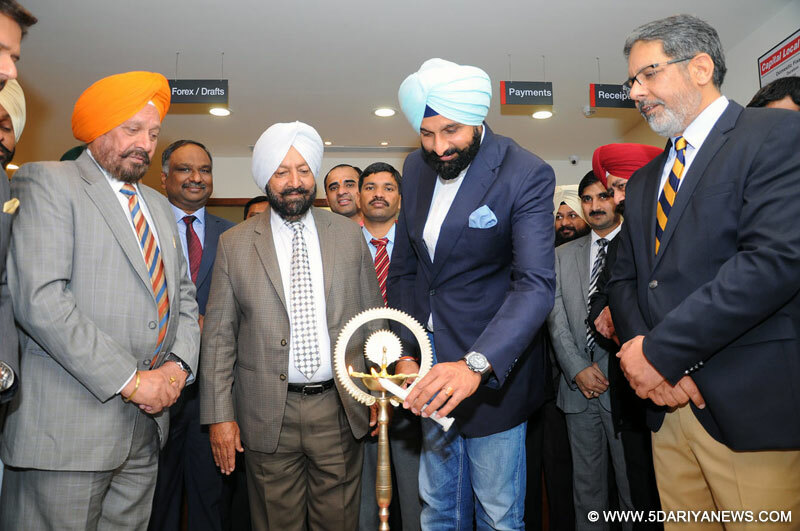 He appreciated that RBI and Ministry of Finance has permitted the bank to set up two new branches in Amritsar and Ludhiana.Later, Mr. Sarvjit Singh Samra, MD of the Bank informed that Capital Local Area Bank made a foray into banking sector in the year 2000 and now has 31 branches in Punjab with nearly 2,37,000satisfied customers.Those present on the occasion included Mayor Bakshi Ram Arora , Congress leaders Mr. R L Bhatia, Mr.O P Soni, Mr.Jasbir Singh Dimpa and a host of local dignitaries.